We invest in opportunity and equality for women and girls in the Granite State through research, education, advocacy, grantmaking and philanthropy. We believe in social, political, and gender equality in New Hampshire. The Women’s Fund of New Hampshire was founded in 1999, inspired by a new concept that we can transform philanthropy from charitable giving to strategic investing in New Hampshire’s women and girls. In 1998 Molly Scheu and Barbara Zeckhausen traveled New Hampshire talking with residents, asking whether they felt that the needs of women and girls were adequately met in the state. The concerns they encountered were many: a lack of child care and elder care, homelessness, domestic and sexual abuse, low wages, lack of access to comprehensive healthcare, and little job training opportunities. Molly and Barb’s vision of change was realized when 42 women and men became the Founders of the Women’s Fund by generously establishing an endowment fund to support the organization. Over the last 15 years, the Women’s Fund has grown to award over one million dollars to 250 non-profit programs throughout the state. 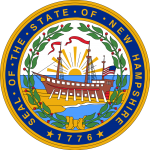 The New Hampshire Women’s Initiative was created from the merger of three organizations meant to help women in various ways in New Hampshire, including the New Hampshire Commission on the Status of Women, the New Hampshire Women’s Lobby and Alliance, and the New Hampshire Women’s Policy Institute. These original organizations with their shared history made up the foundation for the NHWI, which spent its two years advancing social, economic and political opportunity and equality for women in New Hampshire. Over the years, the Commission on the Status of Women, the Women’s Lobby and Alliance, and the Women’s Policy Institute have worked independently but in tandem to accomplish many goals on behalf of the women of New Hampshire. Now, change, progress, and time have combined to create a critical juncture in the status of women in our society and economy. In order to take advantage of this unprecedented opportunity, we have decided to merge these three separate organizations into the unified New Hampshire Women’s Initiative. Together, we are more than merely the sum of our parts. 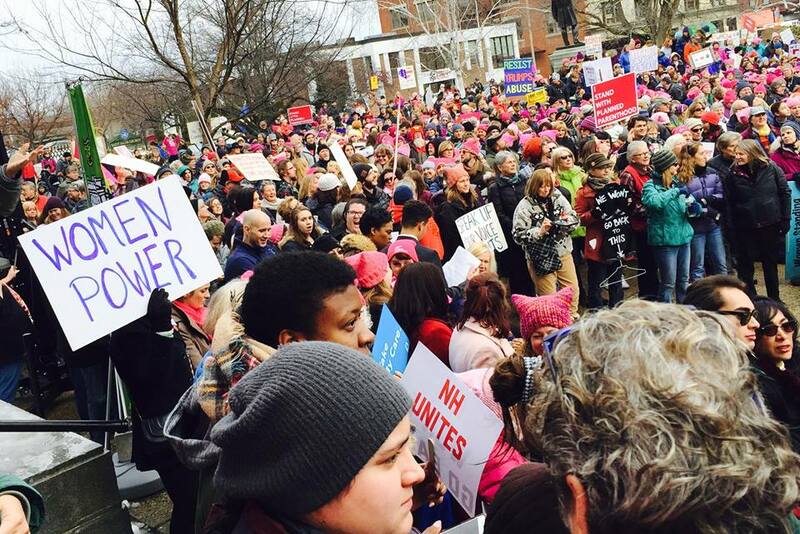 We are a stronger voice for Granite State women, and a new iteration of the women’s movement. Each of the unique strengths and talents of these separate organizations will be leveraged within the new Women’s Initiative. With research, advocacy, and outreach as key program areas, the Women’s Initiative will be stronger, streamlined, and more effective. Together, we will be able to have a more comprehensive impact on the institutional and societal obstacles that continue to face New Hampshire’s women, as well as advancing opportunities and celebrating the accomplishments of women and girls throughout the state. The Commission on the Status of Women was founded by state statute in 1969, with commissioners from across the state appointed by the governor. Its purpose has been to advocate on behalf of women in legislative and public policy issues. Through committees such as Better Jobs for NH Women, it improved employment and educational opportunities for women, including those in prison. The NH Women’s Heritage Trail is the most recent subcommittee tasked with supporting and honoring women’s accomplishments throughout the state. The Commission has worked very hard to connect the women of New Hampshire to much needed resources, like family and community centers, domestic abuse shelters, and legal resources, including publishing a Legal Handbook for Women in New Hampshire. The Women’s Lobby and Alliance was originally a sub-organization of the Commission, founded in 1980. The goal was to develop an organization whose sole purpose was to lobby at the state level on public policy issues on behalf of the women of New Hampshire. Over the years, the Lobby has continued to successfully defend and assert the rights and the interests of New Hampshire’s women. Thousands of pieces of legislature have been informed by the Women’s Lobby and Alliance, including the modification of divorce laws to become more family friendly, the defense of reproductive rights, and the formation of laws for equal rights to employment. The Women’s Policy Institute is a non-partisan research institution that was founded in 2002. The Institute was founded on a belief that credible, unbiased data on issues affecting women would inform meaningful policy change, enable the public and private sectors to work together more effectively, and advance the well-being of women in this state. Starting with its first report, The Economic Status of Women in New Hampshire in 2005, the WPI has researched and published informative and invaluable resources used by policy makers, business leaders and private citizens alike.